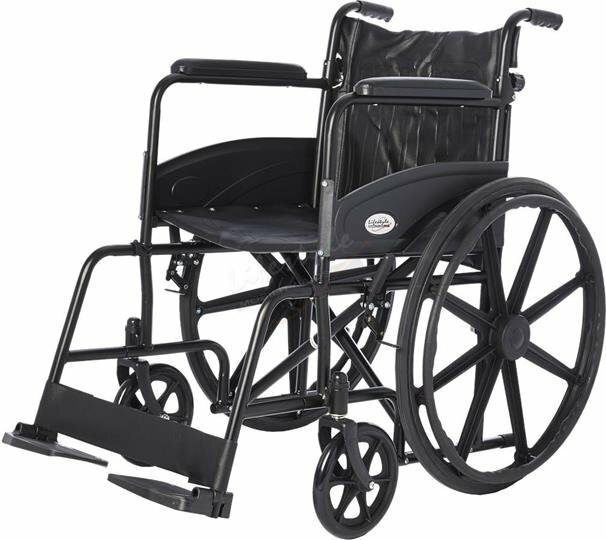 The Lifestyle Mobility Aids L4018 Wheelchair is perfect for any user who needs a simple, yet light weight wheelchair. This wheelchair weighs only 35 lbs for those requiring a high-strength lightweight standard wheelchair. Composite mag wheels are molded with contours to enhance strength and durability. Wheelchair weight capacity is 300 lbs.